While different theaters can make a difference in a Celtic Woman Show, it's usually small. From Clifton Park, NY, to Burlington, VT, this was like night and day. First the obligatory prelude, the short version. Left Clifton Park, made mandatory doughnut stop, arrived in Burlington, did some sightseeing along the shore of Lake Champlain, had an early dinner, got in line about 4:30, stood for 30 minutes, got VIP pass, stood for another 30 minutes, got carded again, chatted with Lindsey, posed for picture, got CD and VIP pass signed, staked claim to front row center, stood for 90 minutes, suffered through opening act for 30 minutes, and stood for another 30 minutes. 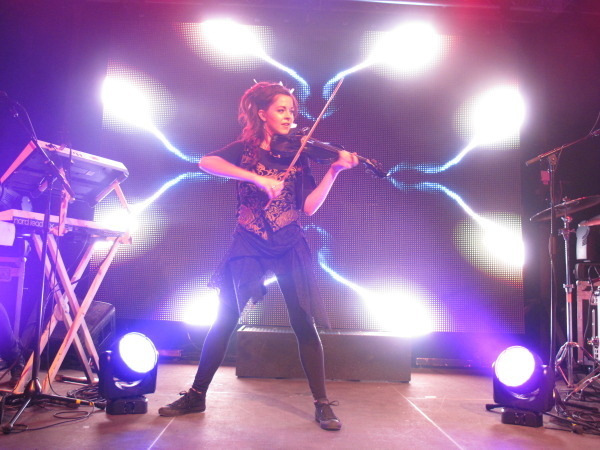 Finally, it was Lindsey time! As I waited in line for my picture with Lindsey, I talked to her keyboard player Gavi. I mentioned that the sound was terrible from the front row last night. He said it would be better tonight and he was correct. There were no speakers in front of the stage at all. There were 3 large bass speakers on the floor at each end and two sets of regular speakers suspended over them on each side. That made front row center the ideal spot, from both a sight and sound perspective. The stage was wider but shallower so Lindsey would never be very far away. Even though I was basically the same distance from the stage, being in the center rather than off to the side made for a much more intimate experience. At one point, as she was swishing her bow around, I could feel the air move as it passed literally inches from me. If that had been Máiréad she probably would have intentionally grazed me with it! The show was basically the same set list as last night but with the great sound it was much more enjoyable. 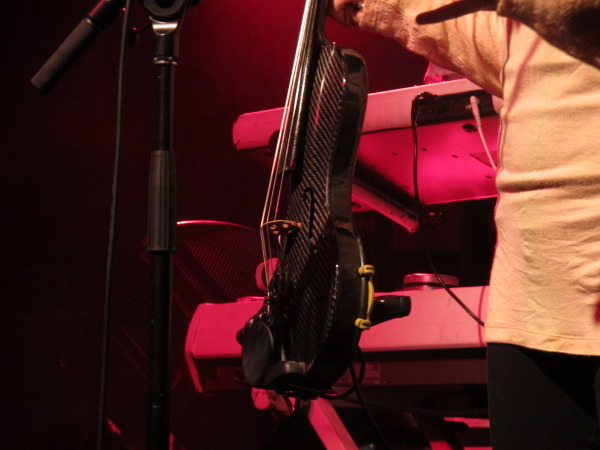 The overpowering bass the previous night had made Lindsey's violin difficult to hear but it was crystal clear tonight. Particularly on her slower songs, you could really appreciate her skill while being mesmerized by her movements. On the upbeat songs she does fast, sometimes jerky, steps and spins but her moves are ballet-like on the slower paced pieces and it is as beautiful to watch as it is to listen to. I made sure I had a freshly charged battery tonight and I took almost 250 pictures. Of course, most of them are blurry because she's a blur but I did get some good ones. I had made mental note last night of shots I wanted to get, with the famous back bend being at the top of the list. Would I change any of my opinions from last night's show? Both shows were high energy and the whole standing thing is not for me, and if I had only seen the first show I'd be less impressed with the live experience. However, with the great sound tonight and the perfect position, I am much happier with what I saw. There is real talent there and it was clear both nights that she truly enjoys what she's doing. I would absolutely go see her perform again, but it would need to be a place where I can sit. By the way, at the Q&A I asked her when her acoustic album was coming out and she said that she hoped to release it by the end of April. That's when her talent will really have a chance to shine. 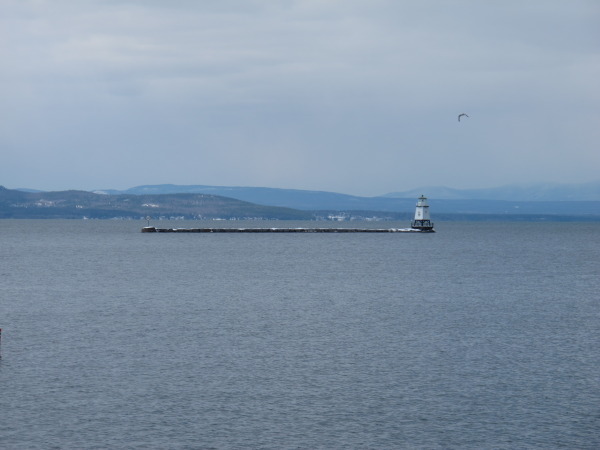 A view of New York State across Lake Champlain from Burlington, Vermont. Lindsey's carbon fiber violin, which she has named “Nero”. Let it snow! 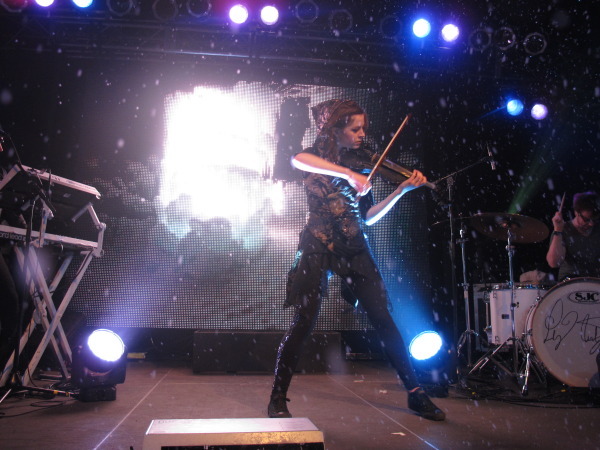 They use snow machines during Crystallize. The famous back bend. Very, very impressive. 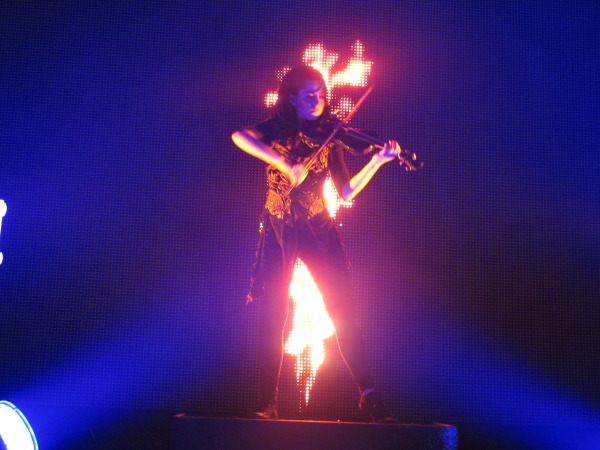 Wow, limbo with a violin! Glad to hear the sound was better. Maybe they read your review! In any case, at a proper sit down venue it would be wonderful to attend one of her concerts. She can drop the opening act but likely won't due to the appeal to the younger audience. I will most certainly buy her acoustic CD. Mike great review I will have to listen to something by her. The standing part would have killed me the first night never mind a second show. Aint into the standing thing, but would love to hear her play.Thanks for your review enjoyed it as always. Wow! !Those are great pics Mike! !I want to go see her again,real bad! !